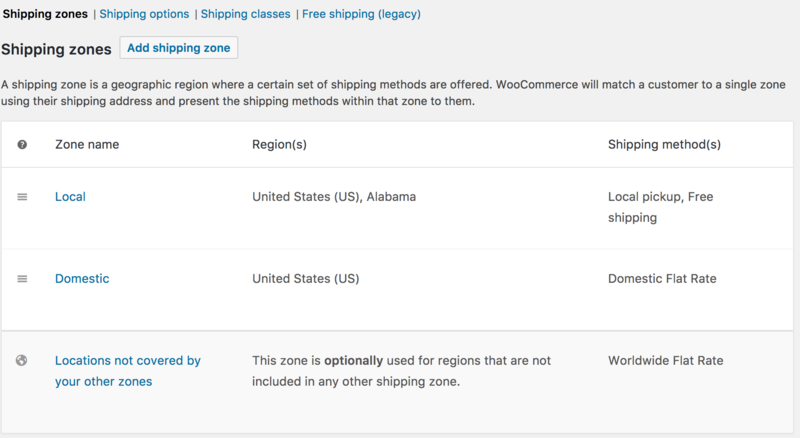 Add as many zones as you need, with each zone containing multiple shipping methods. 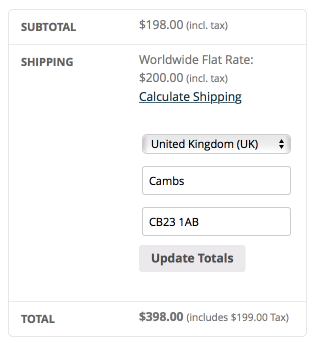 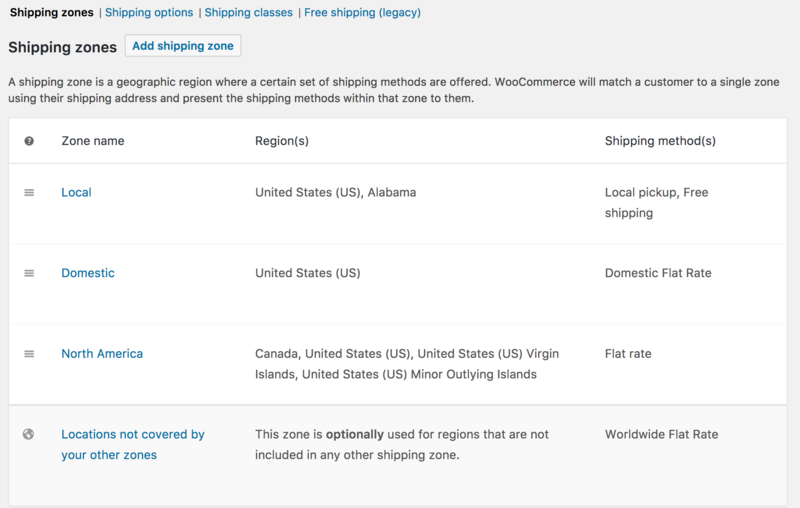 Shipping zones were introduced in WooCommerce 2.6. 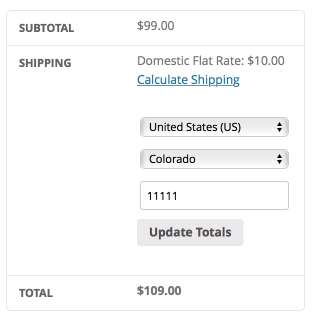 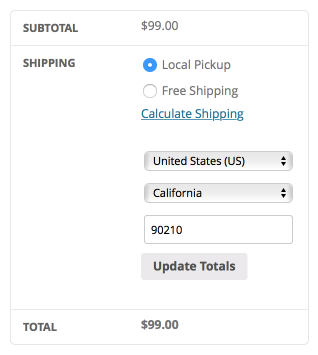 You can still use things like Flat Rate, Free Shipping, and Local Pickup. 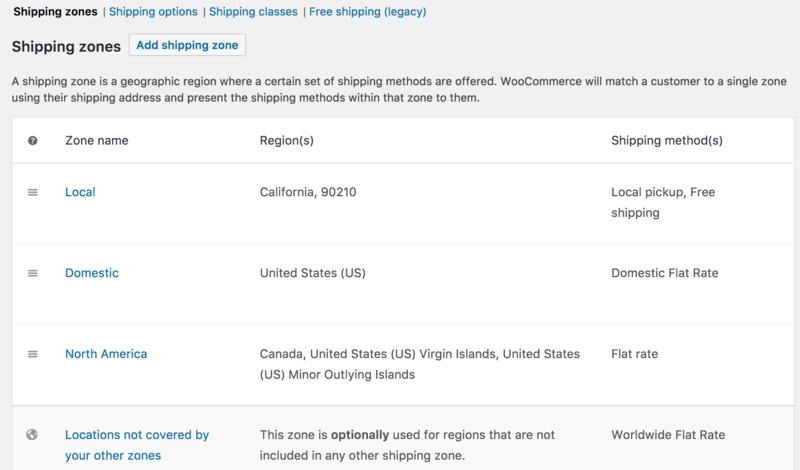 After updating to 2.6 you are asked to turn off your legacy shipping methods and switch to shipping zone based methods. 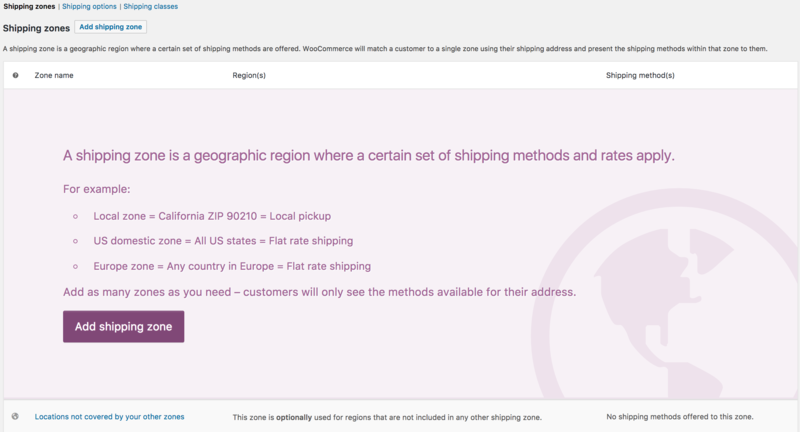 Locations not covered by your other zones is used for customers who do not match any of the custom zones you add. 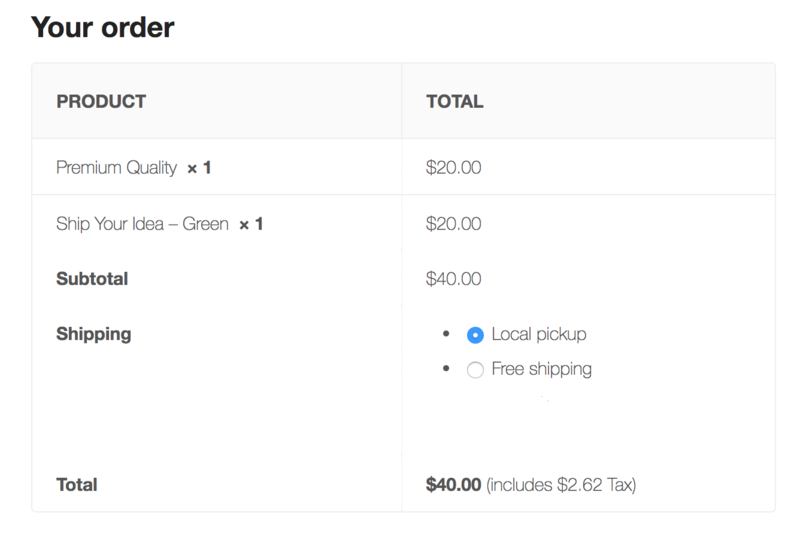 Adding methods to this zone is completely optional, depending on your needs. 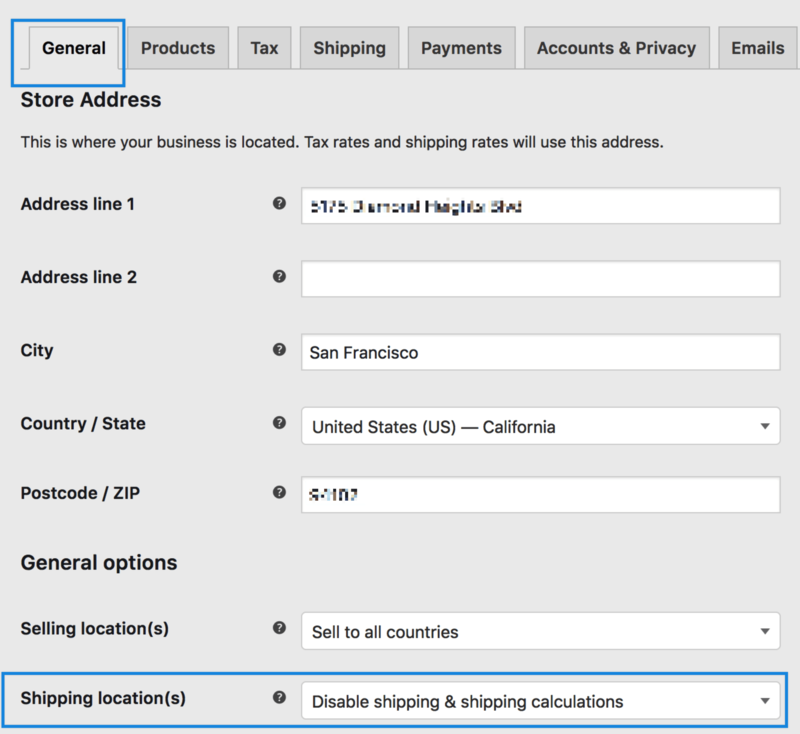 If a customer enters a shipping address that is in a zone without shipping methods, they will be informed that no shipping is available.